Already a bestseller with more than 100,000 copies sold, Adams' comforting words are now accompanied by D. Morgan's exquisite watercolors that summon the very sounds and scents of the ocean. Words of wisdom and peaceful images bring encouragement to those buffeted by life's storms. 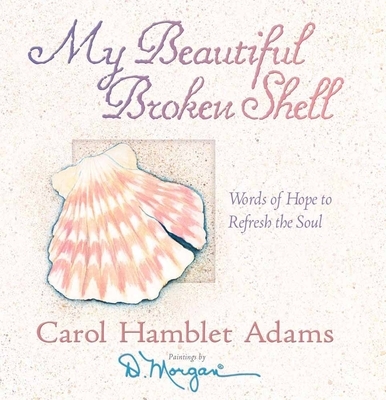 Bestselling artist D. Morgan's inspirational art and verse are featured in galleries and gift shops throughout the world, and her creative style has delighted many in My Beautiful Broken Shell and A Light for the Journey. She studied formally at the High Museum School of Art in Atlanta but credits her father as her most influential teacher. Doris and her husband make their home in Georgia.Carol Hamblet Adams is the author of the beloved book of comfort, My Beautiful Broken Shell (more than 170,000 copies sold). Carol gives keynote addresses to youth and adult audiences on self-esteem, personal growth, keeping the fun in life and pursuing dreams. She is a member of the National Speakers Association and is a US Masters competitive swimmer.